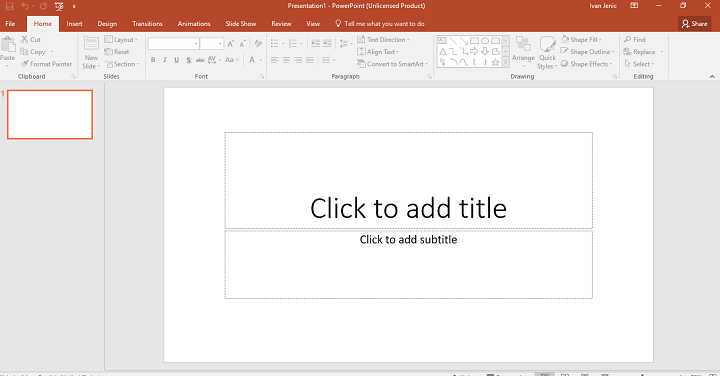 Microsoft’s PowerPoint is one of the most widely used apps from the Office suite. Millions of students and business users use this program to create powerful presentations for school/work. But, just like every other program or app in Windows, PowerPoint might suddenly become unresponsive at some point, and cause major problems to a user who’s in the middle of creating a presentation. Probably the last thing in the world you want is to lose hours of work just because PowerPoint became unresponsive. According to Microsoft, various factors can cause PowerPoint problems in Windows, including an outdated version of the program, a conflicting add-on, or an outdated antivirus software that conflicts with PowerPoint. To be honest, these issues are very unlikely to happen, but it’s not impossible. So, in this article, we’re going to tell you what to do to, first of all, prevent potential PowerPoint issues, and if solve them if any occurs. There’s no way to predict if or when PowerPoint will become unresponsive. However, you can secure yourself from losing your work if such issue happens. The best way to prevent this problem is to simply have your Office suite (including PowerPoint) connected to your OneDrive account. One you activate your version of Office, it should automatically integrate with OneDrive, so you usually don’t have to worry about that. So, before start any work in PowerPoint (or any other Office app), make sure you’re signed in to OneDrive, and all your work is being saved to cloud. Now that you’ve secured yourself from losing data if PowerPoint becomes unresponsive, let’s see what to do if this issue actually occurs to prevent it from appearing again. In case you haven’t updated your version of PowerPoint in a while, there’s a chance you might encounter some performance or functionality problems. Same goes for Windows updates, if you installed an update that isn’t fully compatible with your version of PowerPoint, you might have problems. Luckily, Microsoft releases updates for its services quite regularly, so even if you haven’t install a proper update, it’s probably released. So, just head over to Windows Update, and check if there are any new updates for Windows, PowerPoint, or Office available. If you notice a new update, just install it, and try running PowerPoint again. Similarly to updates, there’s also a chance that your current security software isn’t fully compatible with your version of Office, thus it prevents PowerPoint from working normally. To make sure your antivirus is not a problem, try disabling it for 15 minutes, and run PowerPoint again. If PowerPoint works flawlessly when the antivirus is turned off, you should consider updating or changing your security software. On the other hand, if the issues still persists, antivirus is probably not a problem, so move on to another solution. Click on the Start Menu, type PowerPoint /safe, and hit Enter. Click to clear all the checkboxes (Disable the Add-ins) in the list, and then click OK. If you notice that the problem doesn’t occur while having add-ons turned off, start turning them on one by one, until you find a troublesome extension. However, if none of the add-ons causes your PowerPoint to crash, your problem is caused by something else. 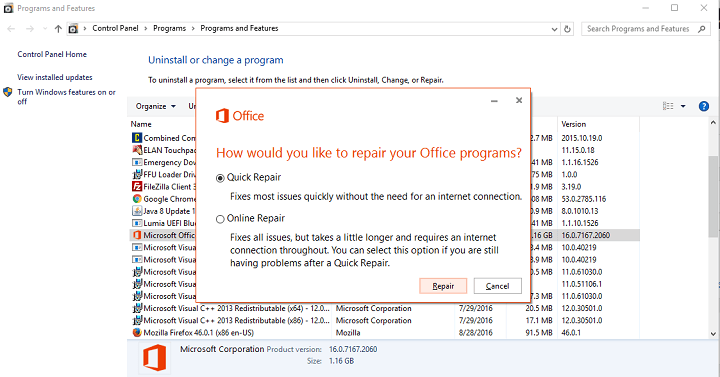 In the list of installed applications, right-click your version of Microsoft Office, and then click Change and select Quick Repair. Hardware acceleration is one of the most common causes of various Office issues. So, it’s probably the best idea to disable it. Here’s how to disable Hardware acceleration in PowerPoint. Locate Hardware Acceleration and disable it. After doing that, try to start Microsoft Office again. In the left pane navigate to HKEY_CURRENT_USER\Software\Microsoft\Office\16.0\Common key. Right click the Common key and choose New > Key from the menu. Enter Graphics as the name of the new key. 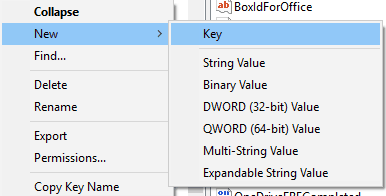 Now right click Graphics key and select New > DWORD (32-bit) Value. Name the new value DisableHardwareAcceleration. Double click DisableHardwareAcceleration value and set its Value data to 1. Click OK to save changes. 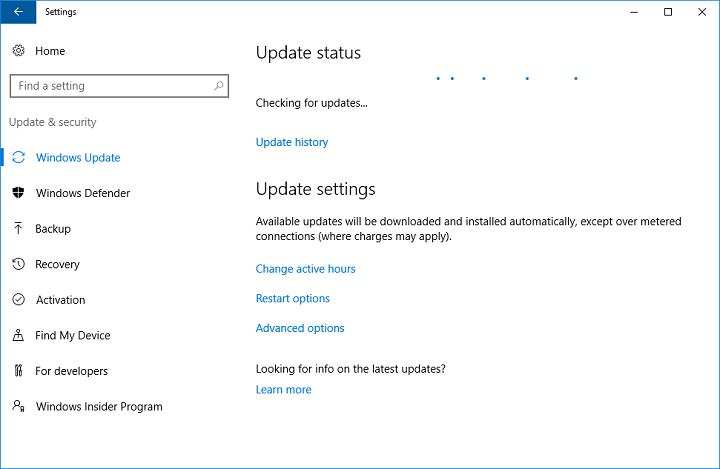 Now, find the latest Office update installed on your computer (you can sort updates by date), right-click it, and click Uninstall. That’s about it, we hope that at least some of these solutions helped you with the crashing problem in PowerPoint. Once again, we highly recommend you to have your Office and OneDrive account connected, just in case of issues like this. If you have any comments, questions, or suggestions, just let us know in the comments, below.